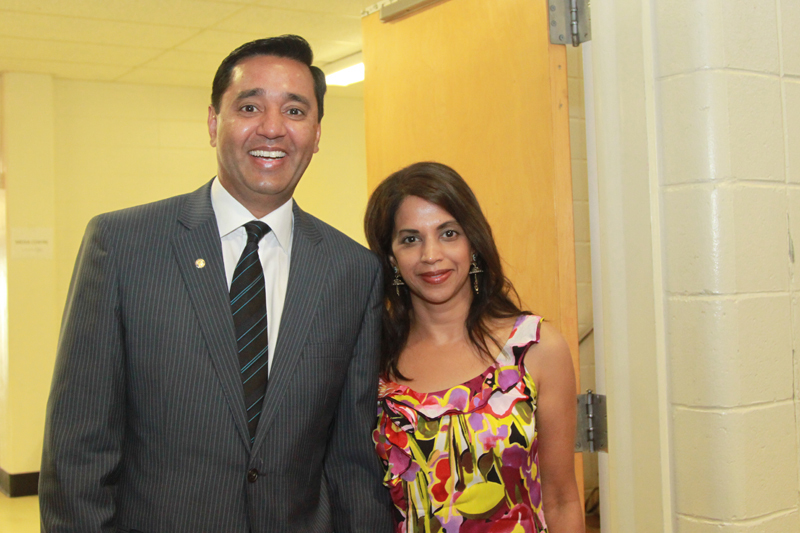 Edmonton-Riverview ALP candidate Arif Khan and his wife Nausheen. 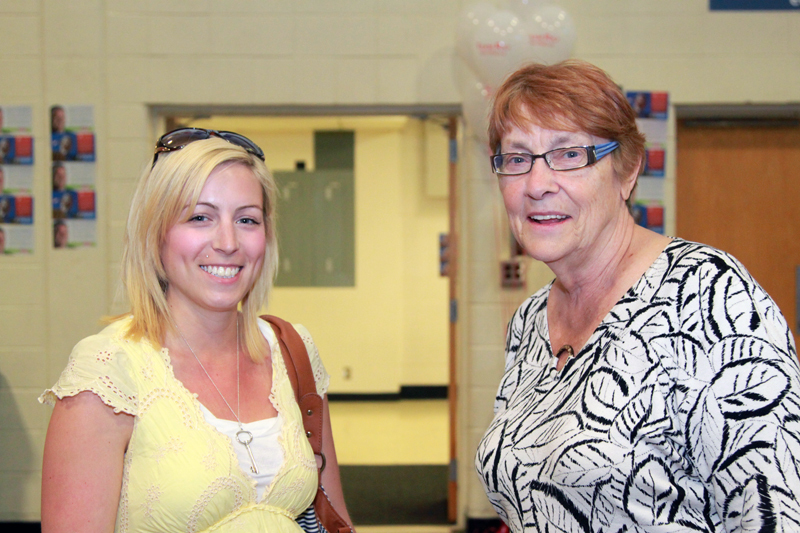 The awesome Avril McCalla and Lethbridge-East MLA Bridget Pastoor. The passionately purple "Laurie4Leader" buttons advertising Edmonton-Centre MLA Laurie Blakeman's campaign. 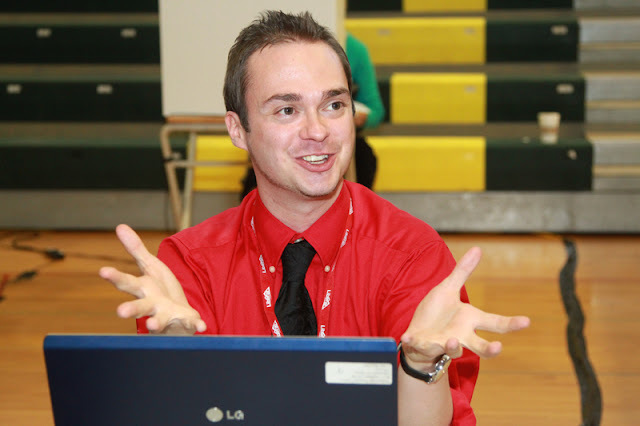 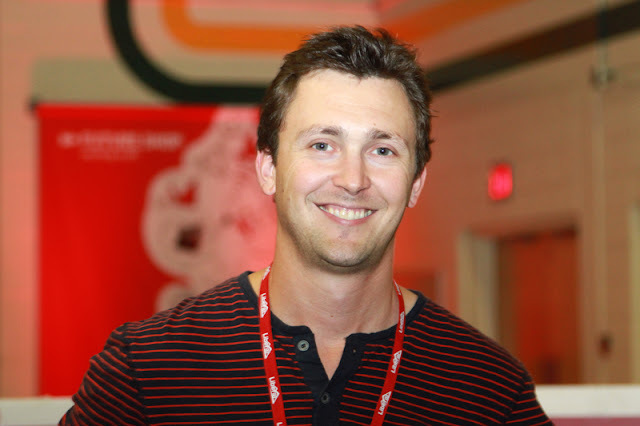 Renowned Edmonton blogger Dave Cournoyer, aka daveberta, was on hand to chronicle the event. 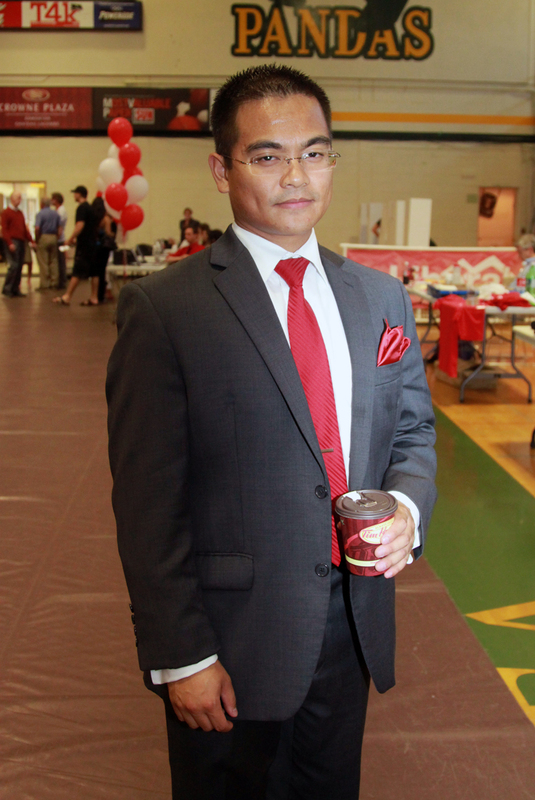 GQ model John "The" Santos was kind enough to pose. 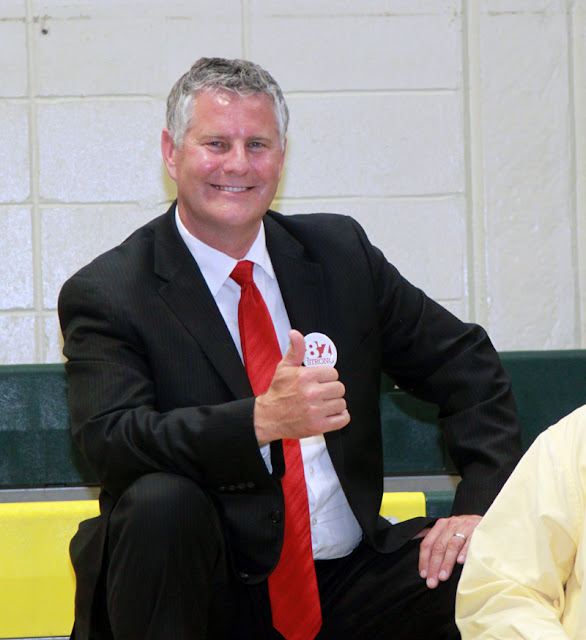 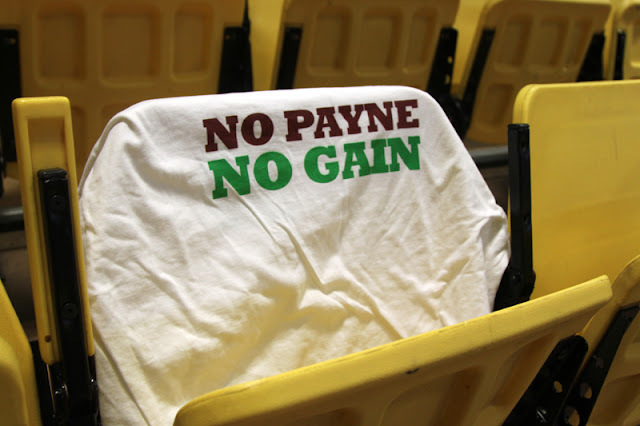 Bruce Payne campaign slogan on a t-shirt. 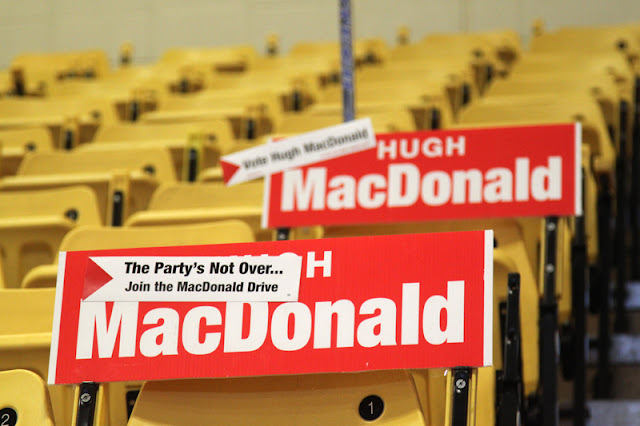 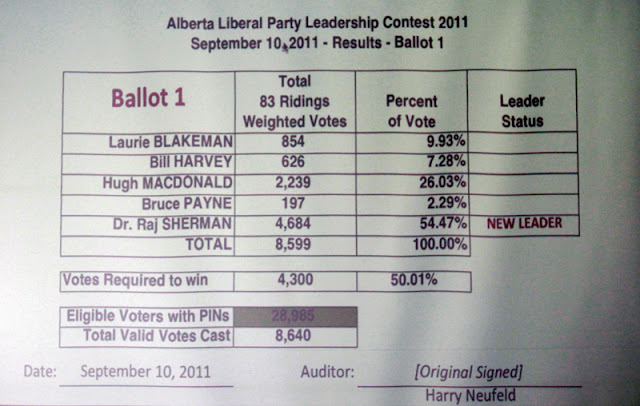 Veteran MLA Hugh MacDonald finished a strong second. 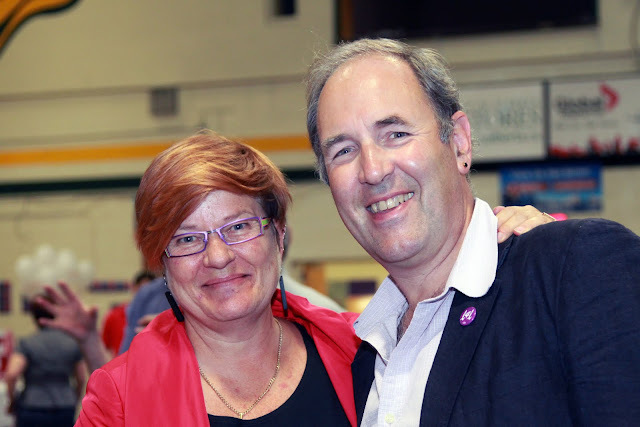 Edmonton-Centre MLA Laurie Blakeman and her spouse Ben Henderson, one of Edmonton's city councillors. 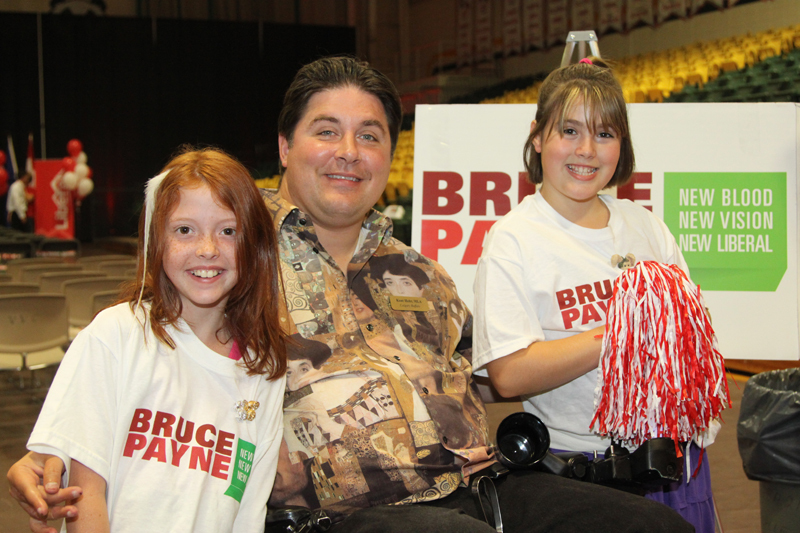 Calgary-Buffalo MLA Kent Hehr and a pair of young Bruce Payne supporters. 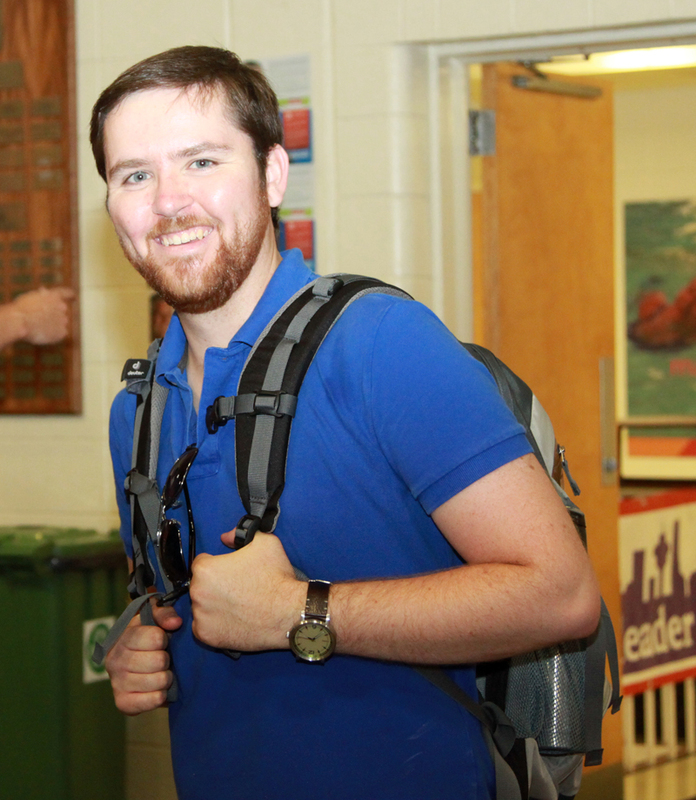 ALP volunteer and former federal Liberal candidate Zack Siezmagraff was on hand to help ensure the proceedings ran smoothly. 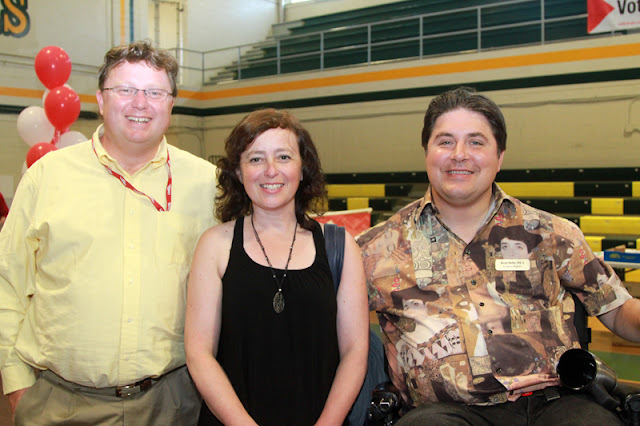 The event's Calgary contingent included Neil Mackie, Jody MacPherson and Kent Hehr. 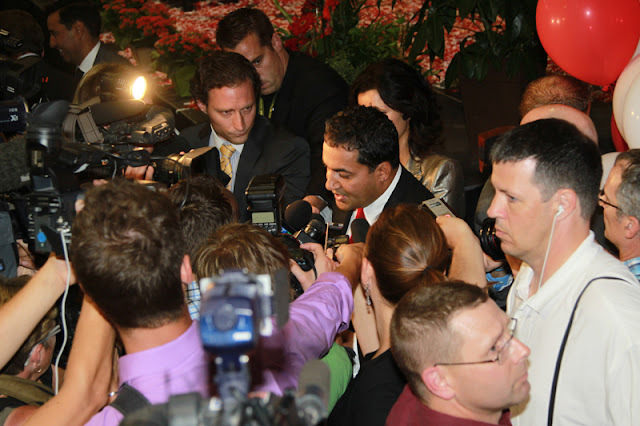 Josipa Petrunic was instrumental in organizing the race. 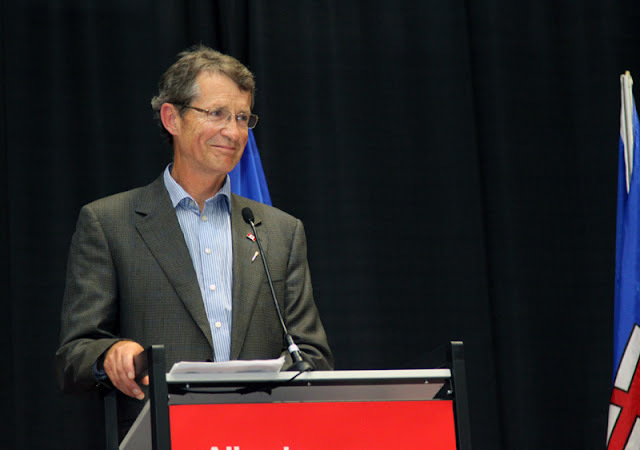 Outgoing ALP Leader Dr. David Swann delivered his last speech in that role yesterday, urging everyone to unite behind the new leader. 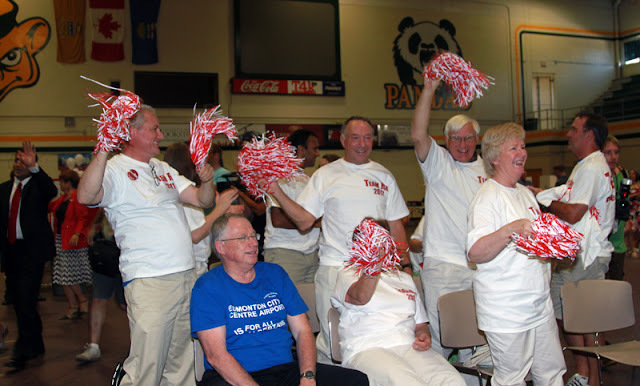 "Team Raj" supporters reacted with glee to the announcement of their candidate's decisive first-ballot victory. Dr. Sherman on his way to the stage to deliver his acceptance speech. 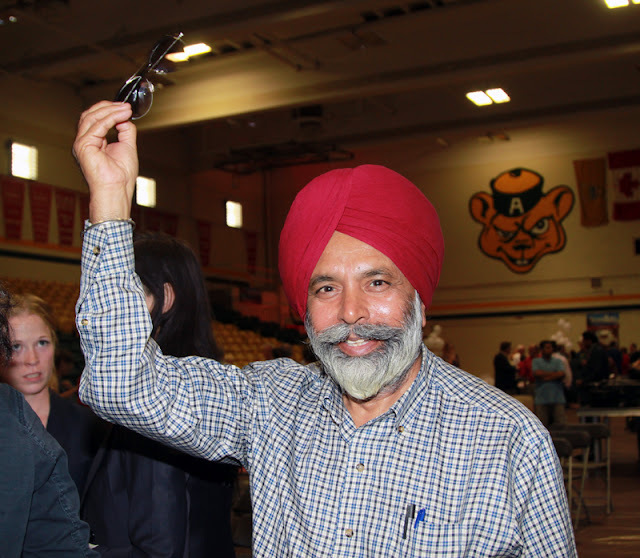 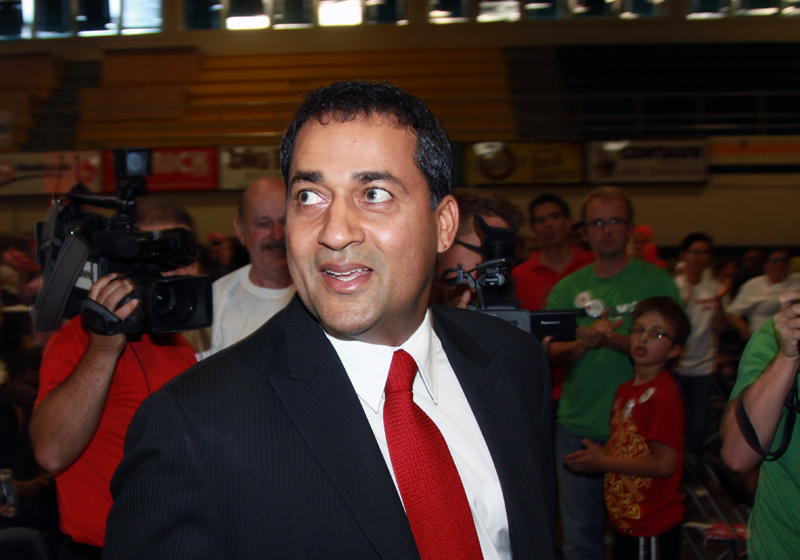 Calgary-McCall MLA Darshan Kang seemed pleased with the results. Media attention was intense, and Sherman was swarmed by reporters after his acceptance speech. 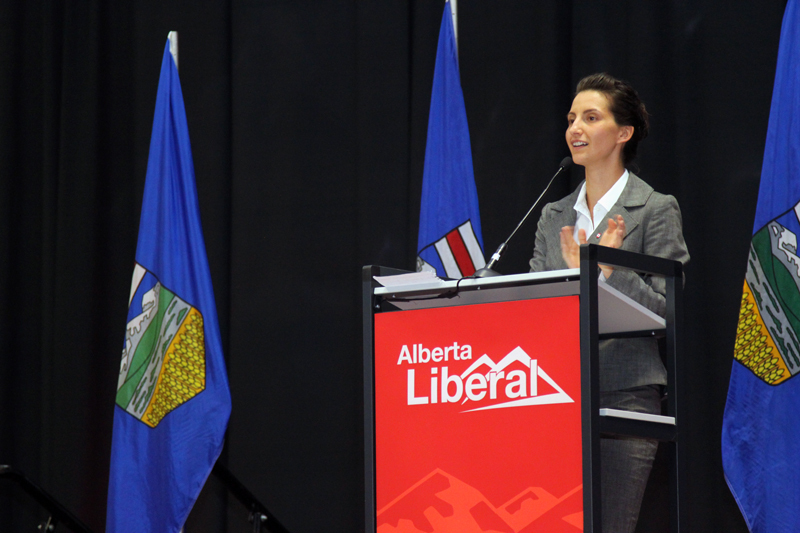 Best of all, I had the chance to visit briefly with some old friends who've moved on from the Alberta Liberal Caucus, including Tanara McLean and Kim Dewar.